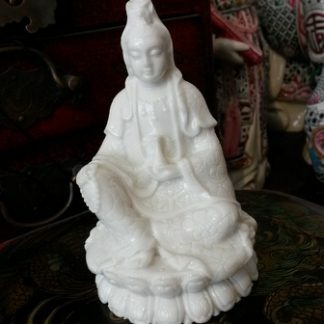 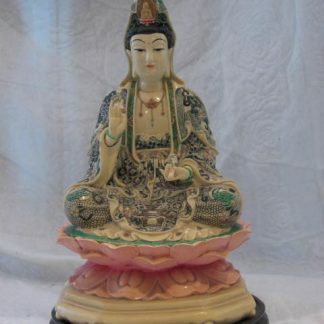 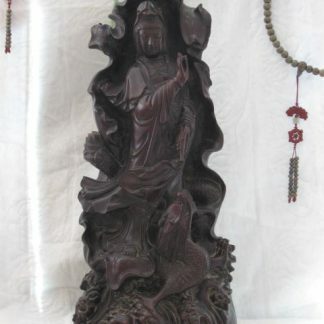 Kuan Yin (Guan Yin); in English generally known as Goddess of Mercy. 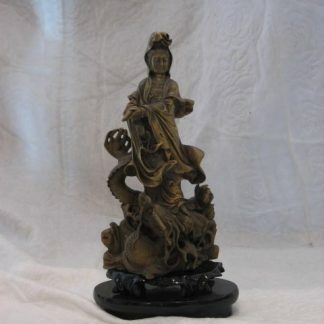 She is also known as ‘the goddess who has great mercy and great pity’. 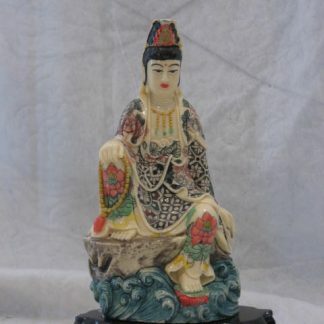 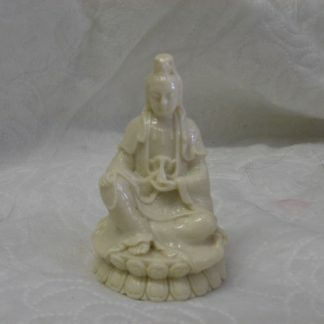 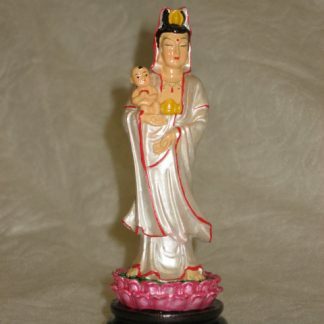 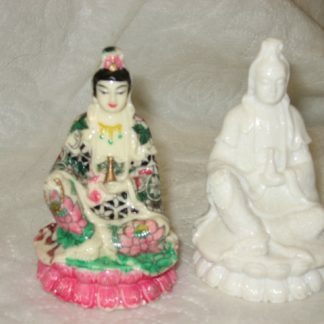 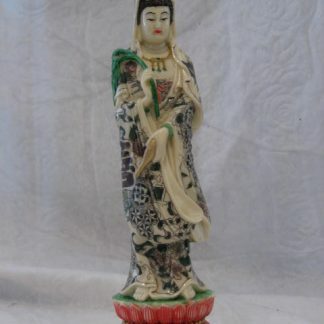 Her Chinese title signifies ’she who always views or hears prayers’. 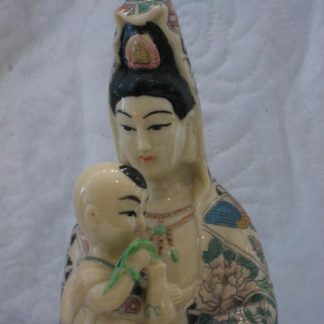 The most usual image of the goddess is a beautiful and gracious woman, wearing a rosary. 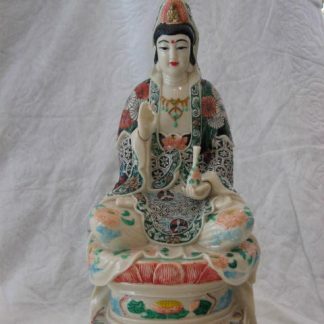 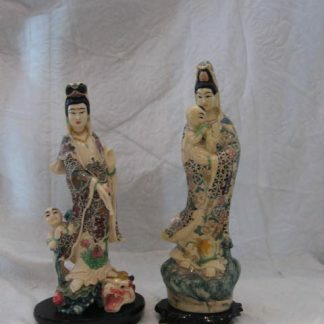 She sometimes holds a child, and can also be shown with several heads and hundreds hands with different objects as request, of which she helps the unhappy and afflicted.